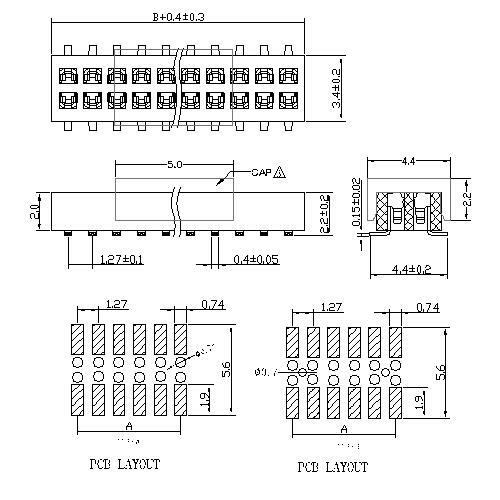 Shenzhen Antenk Electronics Co., Ltd. has promoted a 1.27mm Female Header Dual Row SMT Type Top Entry connector. The sheath refers to a connector that is injection molded and stamped from engineering plastics, PVC materials or metal materials to protect the connection points and connect various electrical appliances. Support the protection terminal to make it firmly contact, accurate positioning, dustproof, anti-fouling, moisture proof, insulation protection, etc. Commonly used sheath materials are mainly PA6, PA66, ABS, PBT, PP, PVC, etc. When designing the plug-in, different materials can be selected according to different needs. Flame-retardant or reinforcing materials can be added to the plastic according to the actual situation to achieve the purpose of strengthening or flame retardant, such as adding glass fiber reinforcement. 3.Plastic High:H=2.00mm. (Other sizes can be selected). 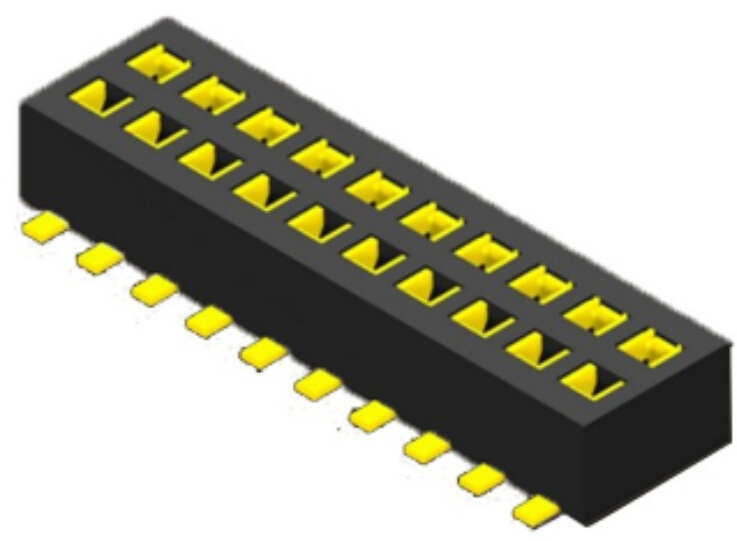 Looking for ideal SMT Type Top Entry Connector Manufacturer & supplier ? We have a wide selection at great prices to help you get creative. All the Female Header Dual Row are quality guaranteed. We are China Origin Factory of 1.27mm Pitch SMT Type. If you have any question, please feel free to contact us.